In my wardrobe I have an impressive collection of super cute spring cardi's. These light layovers make for the perfect addition to all of your favorite basic dresses. I always try to have a few neutral dresses in my closet that can easily be jazzed up with a killer pair of sky high heels or a fabulous statement necklace. The most recent addition to my closet is this white Rachel Zoe dress, which you can find it here. I'm obsessed with the simple and classic shilouette. To add a dash of spring I turned to my new Ted Baker cardigan that screams spring with its bright color and floral detailing. I accessorized my look with a fabulous pair of Giuseppe Zanotti pumps, my Frock Candy bag and my favorite pieces of Posh Locket jewelry. Every girl should have an impressive array of cardigans in their closest. They're conservative, flattering, and you can find them at any price point in any design, which is always a fash must. 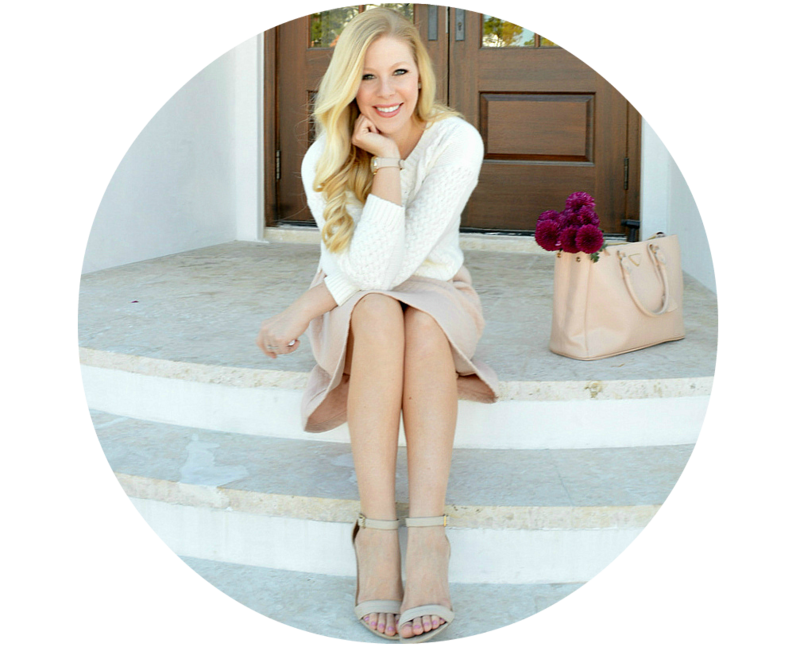 If you're still attempting to hunt down the perfect spring cardi search no more, below I've pulled some of my favorites that are currently available. Click the picture to shop the look. Which colorful cardi is your fave? I love your outfit, that green bag is gorgeous! 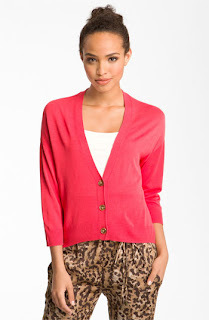 My favourite cardi is the hot pink Nordstrom one for sure! lovely outfit, and i really like the green bag! super outfit , like your shoes !!! That's one of the most beautiful cardigans I've seen lately! Lovely outfit - your shoes and cardigan are gorgeous! That's a darling cardigan and I love the colors that you mixed together. amazing dress and lovely akcessories! The necklace is gorgeous! Is it also from Posh Locket? I didn't find it on their webpage. Such a lovely outfit Anna & those heels are killer! You are now in Paradies. I wish you a wonderful week Anna. Enjoy every second of it. Great outfit!! You look beautiful!! LOVE this so much! Love all the pops of color. adore it xxxxxxxx u look so stunning!!!!! You have style. I love the colourcombination you just used! so beautiful combo! I just love the shoes and the sunglasses! kisses dear! This outfit it so girlie- i love it! Love this! Adorable! Hope the wedding stuff is going smoothly! I love spring cardi's! I need to pick up some more. But I agree, they are a great way to switch up any outfit! I love the color combination! Around here, lightweight cardigans are a must for summer as well. 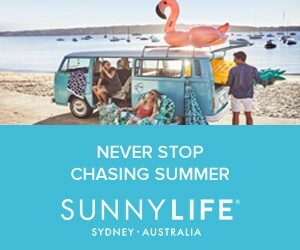 It can be chiily at night or on rainy days, yet I still want to look and feel summery. oh you look so gorgous and cute in all this amazing colours! i love your pink cardi the fabulous bag and yellow shoes! great outfit darling! You can follow me on instagram too!! Loving all the cardigan pops of color! The cardigan is great, the entire look deserves a thumbs up. So true about the cardigans - they can really pull an outfit together.. and are a MUST all summer long in offices as cold as mine!! I have a sick obsession with cardigans. I have nearly every color imaginable plus some printed/textured ones as well. I tend to layer them over nearly everything because my office tends to feel like sub zero temps even during the hottest of hot days. One color I'm lacking is that adorable mustard. It needs to happen! Nothing better than a great cardigan...absolutely love it paired with the white dress! i can't live without my cardi's. but i DIE for that RZ dress...i NEED it in my life! Such a cute cardigan you are wearing --looks great with the white dress! I love these colours together, you look so fresh! Love this outfit soo much!! I really need to start adding more day dresses to my wardrobe lol. I'm on the hunt right now! Too cute huni. Love the colour. LOOOOVE the dress and the cardigan is so cute too! Great job! Great look! Loving that dress! I'm obsessed with Rachel Zoe! Your outfits are always so cute ! you always look so great, i love your hair and your style is admirable! This outfit is perfection! Such an adorable dress and it looks beautiful paired with the spring cardi! Love it. Such a beautiful outfit! Love the mix of colours against the bright white dress! So cute, LOVE your peep toe heels! Amazing color and the height! YES! I love the details on that cardigan! Amazing outfit, as always! Love the cardi! It's absolutely beautiful! I love cardigans too.... but I have too many neutrals and not enough colors. I like the orange one from Nordstrom. love the outfit! those sunglasses are fab! are they tory burch? you always look so adorable! and your engagement ring is BEAUTIFUL!!! i love how youre mixing all those colors!! I love the flower details on the cardigan! You look gorgeous and love the entire look - makes me excited for summer to be here! Pretty color combination! Lovely heels and such a fun summer look! i like tour blog.. now i follow u!!! I am in love with your cardigan!! And you're outfit is awesome; it includes one of my favourite colour combinations: pink and green! You look stunning!! Bist echt ne hübsche, dein Blog ist auch wirklich super-gut. Mach bitte weiter damit. Love cardigans! My bf always makes fun of me because even in Florida weather, I always find a way to wear a cardigan with my outfits! So cute and lovely! The dress is beautiful! I just might steal this necklace from you. It is incredible! Loooove the white, black, gold and turquoise, and the tasselled bolero thing looks so chic and cool. LOVE, LOVE, LOVE the colors you put together in this look. I love to mix a lot of bright colors together back to a neutral ground as well, so am always happy to see someone else who appreciates color like I do! :) Love your blog. Love the colors :) you look awesome! Love the carni! Great color and pattern! Adorable white dress and belt! 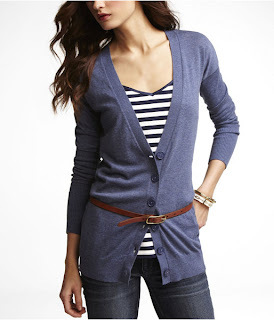 Cardigans are great anytime of the year!! You always have the best accessories! I love the color of your cardi too! Love your blog! this outfit is put so well together! I love how it is vibrant, yet elegant and simple. I taged you with 11 questions. Now it's your turn to make up 11 questions and tag 11 people. Enjoy! You're looking really beautiful and the background is amazing! Love the bright pink and yellow! What a great look! 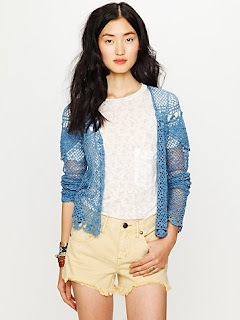 Such a cute cardigan! Really lovely! such a amazing outfit with lovely colors! 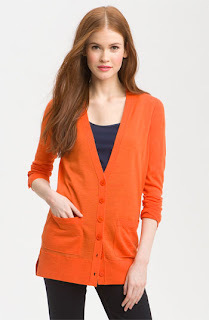 if you want to look so stylish add a great collection of cardigans in your wardrobe!